Pendant is suspended from a sterling silver collar. 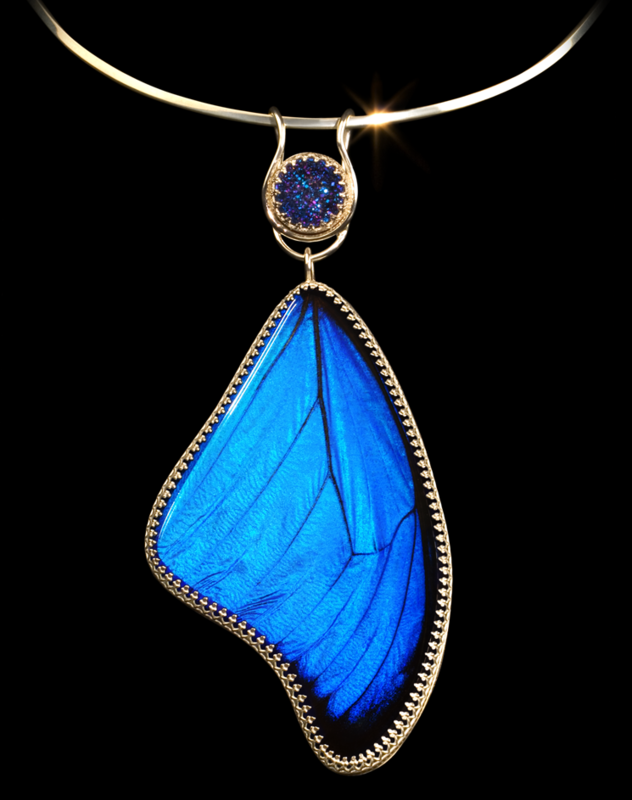 A detachable Titanium Drusy bail joins a genuine Morpho butterfly wing, which is set under hand cut and beveled clear glass with sterling silver filigree bezel. Both wing and Drusy can be worn independently. Genus and species are engraved on reverse.